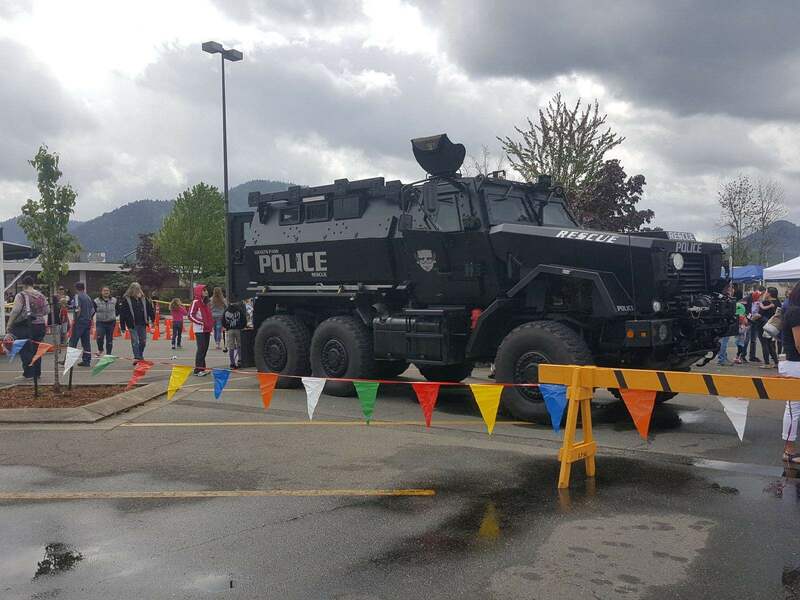 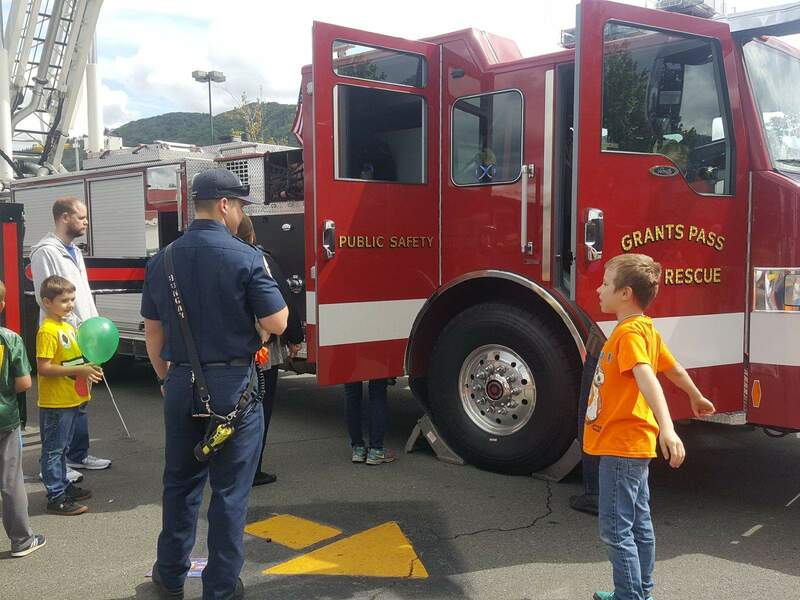 The 8th Annual Kids’ Safety Fair was yet another success! 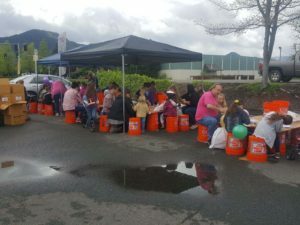 Several hundred kids came out to the event. 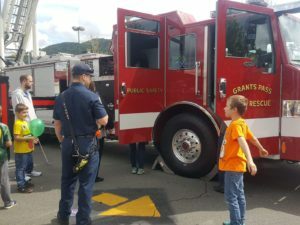 They had the opportunity to learn about various fire, police, medical and rescue equipment, as well as climb and explore their respective apparatus vehicles. 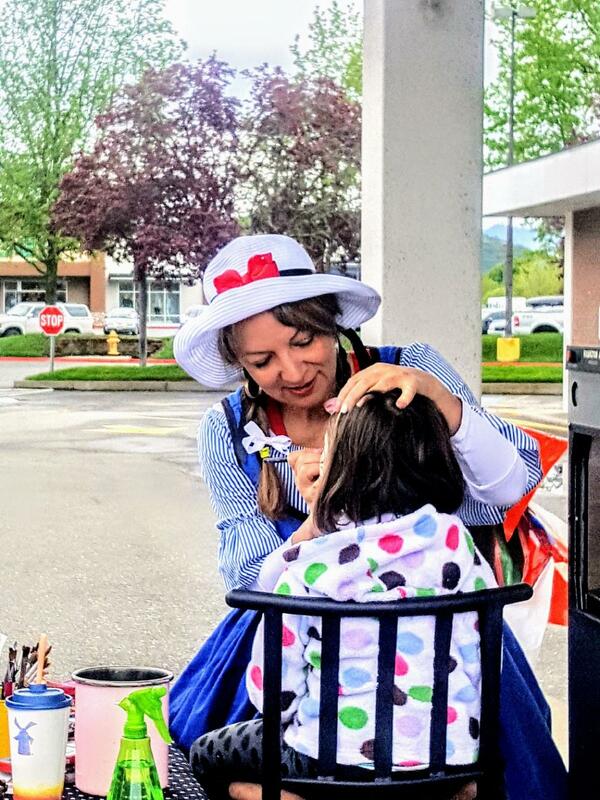 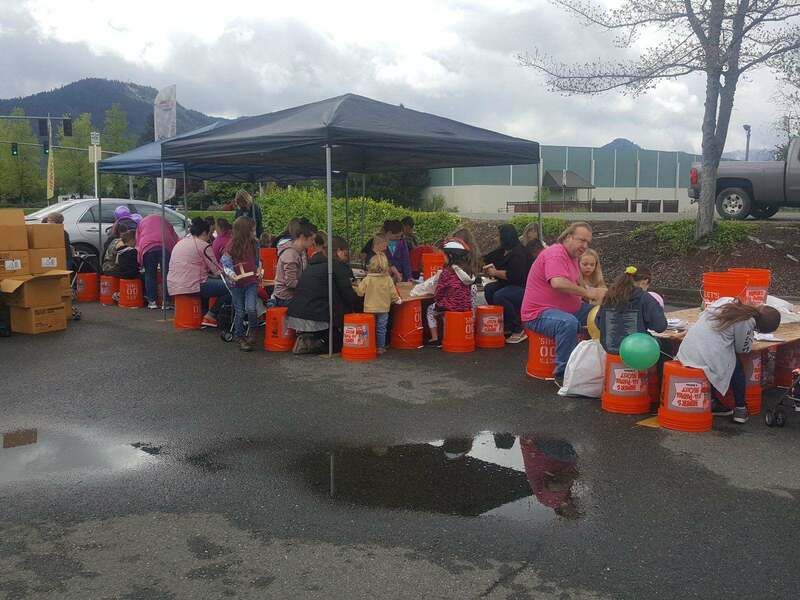 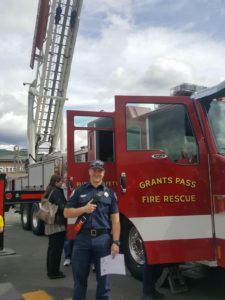 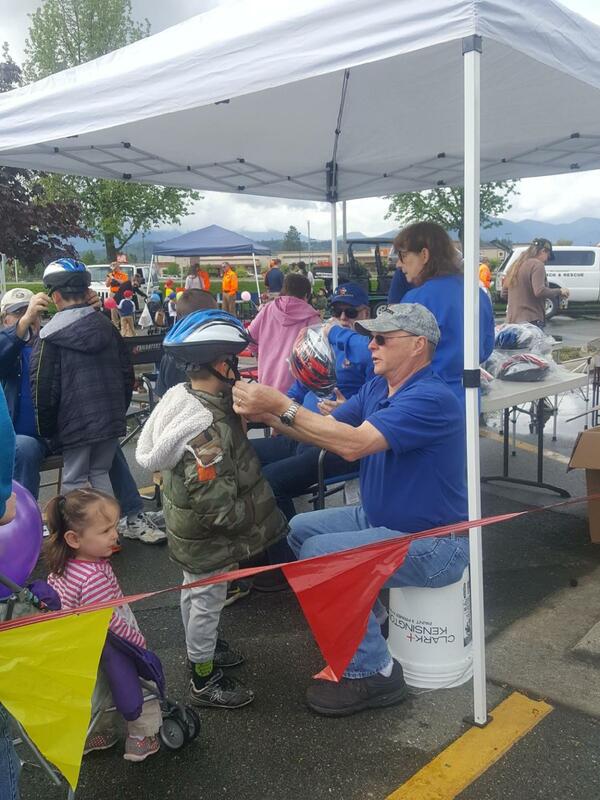 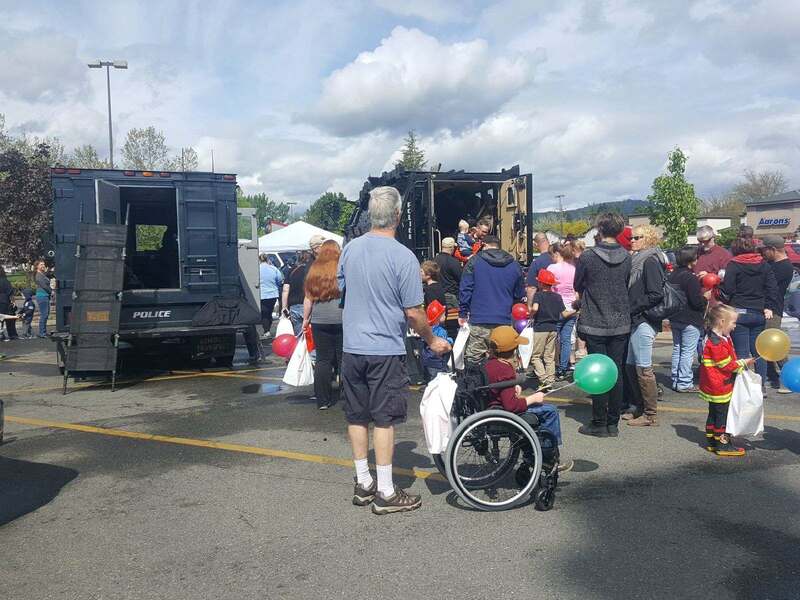 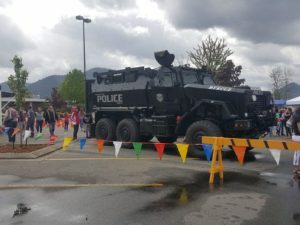 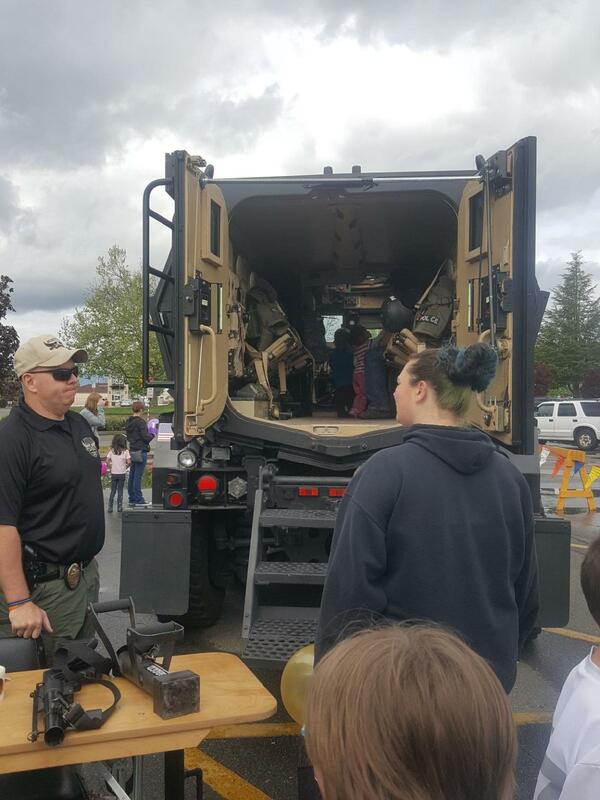 Participants ranged from the local Fire, Police, Search & Rescue and American Medical Response personnel, to Kiwanis (handing out free bike helmets to kids), donut samples by Magic Donuts (a new tenant at the Grants Pass Shopping Center), face painting, and Home Depot make-and-take crafts.